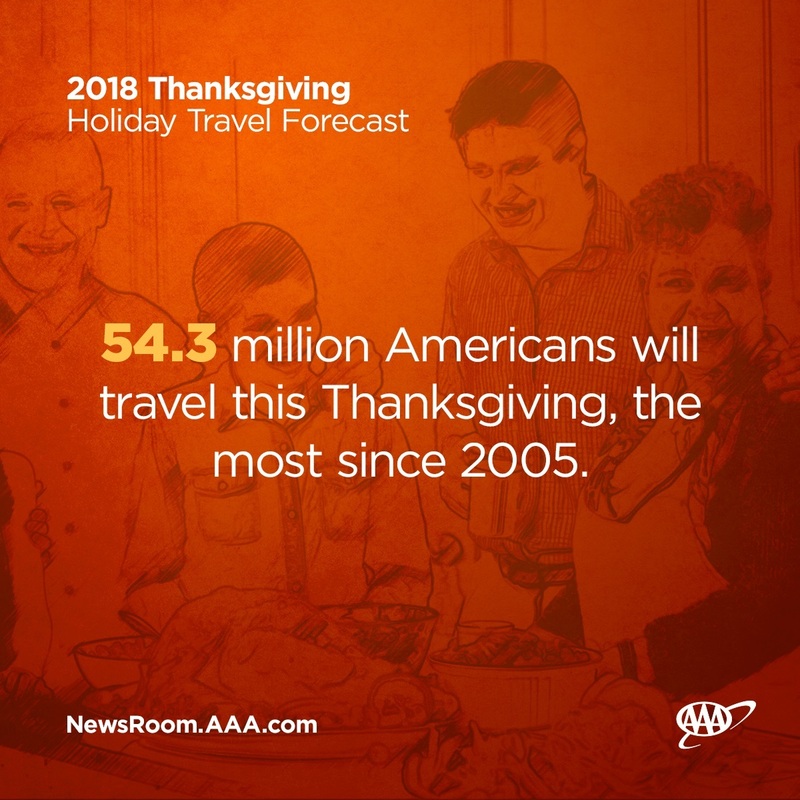 November 8, 2018 – AAA projects 54.3 million Americans will journey 50 miles or more away from home this Thanksgiving, a 4.8 percent increase over last year. The 2018 holiday weekend will see the highest Thanksgiving travel volume in more than a dozen years (since 2005), with 2.5 million more people taking to the nation’s roads, skies, rails and waterways compared with last year. The largest increase is in air travel at 5.4 percent, with 4.27 million booking flights during the Thanksgiving holiday period defined as Wednesday, November 21 to Sunday, November 25. Across the country, travelers who take to the sky must account for long security lines, but also increased drive times to the airport. INRIX, a global mobility analytics company, expects delays getting to the nation’s busiest airports could be as long as an hour and a half.